James Joyce is one of the greatest writers of the twentieth century, foundational in the history of literary modernism. Yet Joyce's genius was not immediately recognized, nor was his success easily won. At twenty-two the author chose a life of exile; he battled poverty and financial dependency for much of his adult life; his out-of-wedlock relationship with Nora Barnacle was scandalous for the time; and the attitudes he held toward Ireland, England, sexuality, politics, Catholicism, popular culture―to name a few―were complex, contradictory, and controversial. In James Joyce, Gordon Bowker, draws on material recently come to light and reconsiders the two signal works produced about Joyce's life―Herbert Gorman's authorized biography of 1939 and Richard Ellmann's magisterial tome of 1959. 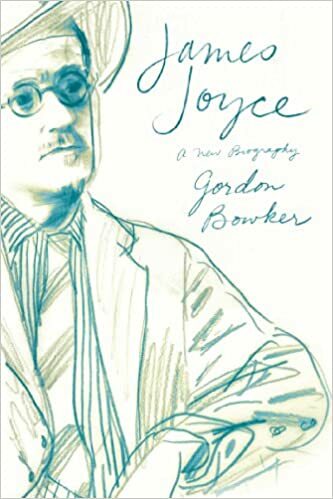 By intimately binding together the life and work of this singular Irish novelist, Bowker gives us a masterful, fresh, eminently readable contribution to our understanding both of Joyce's personality and of the monumental opus he created. Bowker goes further than his predecessors in exploring Joyce's inner depths―his ambivalent relationships to England, to his native Ireland, and to Judaism―and uncovers revealing evidence. He draws convincing correspondences between the iconic fictional characters Joyce created and their real-life models and inspirations. And he paints a nuanced portrait of a man of enormous complexity, the clearest picture yet of an extraordinary writer who continues to influence and fascinate more than a century after his birth.